Saccharomyces cerevisiae and wine fermentation. Photo credit: iStock. For thousands of years, people have been mystified by the way fruit juice, if left alone long enough, will start to bubble and become a complex, aromatic, and intoxicating beverage. In ancient times the phenomenon was largely credited to spiritual or supernatural entities. In the Middle Ages the froth that formed on top of a fermenting cask was skimmed off and added to help start the next batch. The Middle English term for that scum, with its mysterious power, was goddes god: God’s gift. In 1680 the Dutch naturalist Antonie van Leeuwenhoek became the first person to directly observe yeast cells, by means of lenses he developed. 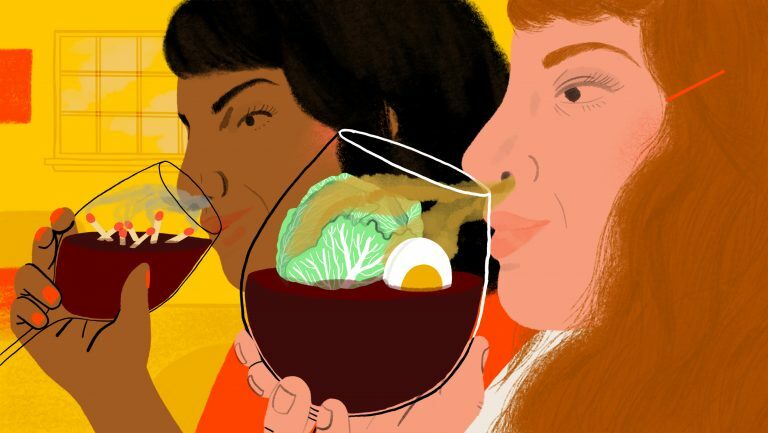 Two hundred years later, Louis Pasteur correctly hypothesized that those microscopic organisms were responsible for fermentation, and that different microorganisms could create different flavors in wines from the same grapes. And in 1890, Hermann Müller first isolated pure strains of yeast and used them as starter cultures for winemaking. Today’s winemakers realize what a crucial consideration yeast is—it affects how quickly fermentation begins, how rapidly it progresses, and what the final product tastes like. Whether to add it or not is one of the first decisions about yeast that must be made by a winemaker. 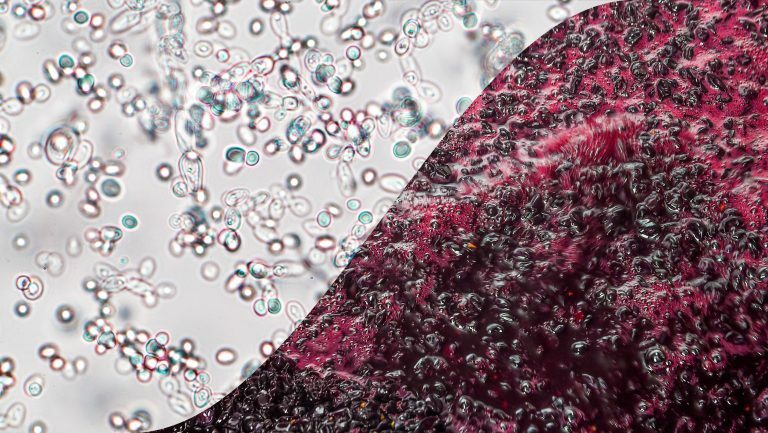 According to Jamie Goode’s Authentic Wine, only about 20 percent of wine made around the world is fermented by yeast cultures that have deliberately been added to the batch—the rest depends on wild yeasts already present to do the job. But outside of laboratory experiments, K. apiculata, M. pulcherrima, and company are seldom left to their own devices. 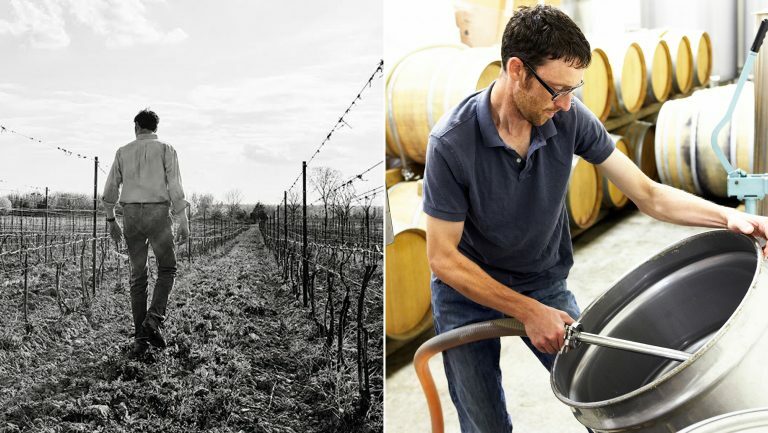 Ken Wright, the founder and winemaker of Ken Wright Cellars in Oregon’s Willamette Valley, has been working for several years with five other wineries in the state on a series of rigorously designed studies intended to identify just which microorganisms make wine. Saccharomyces cerevisiae, also known as brewer’s or baker’s yeast, doesn’t commonly grow on grape skins in the vineyard—in part because it can’t tolerate direct sunlight well—but it’s the species most essential to winemaking, and it fiercely defends that role. It’s uniquely tolerant of alcohol, and that trait allows it to out-compete other yeasts during winemaking. The wild yeast species turn sugar into ethanol, but once the concentration of ethanol in their environment reaches higher than 5 percent, it kills them; strains of S. cerevisiae, however, can survive well into the teens. Once introduced to a winery—either intentionally, as a commercial culture, or as a stowaway on some apparatus or clothing—it lives on the equipment, on the walls, and on the personnel—and it eagerly joins in any fermentation that’s taking place. Fred Merwarth, winemaker, vineyard manager, and co-owner at Hermann J. Wiemer Vineyard. Photo courtesy of Hermann J. Wiemer Vineyard. In conjunction with graduate students at Cornell, Merwarth, like Wright, has tracked the particular strains of yeast that appear in his winery’s fermentations. The group’s three-year study identified 85 discrete strains of yeast—mostly Saccharomyces—in Wiemer’s wine production, only 3 of which matched known commercial strains. And, Merwarth says, contrary to Wright’s findings, particular yeasts appear to be associated with particular harvest sites rather than dwelling in the winery from vintage to vintage. Because of its ubiquity, and its importance to wine and quite a few other industries, S. cerevisiae has become one of the most widely studied organisms. The single species of yeast has evolved—with and without deliberate breeding help—into thousands of strains with varying characteristics. 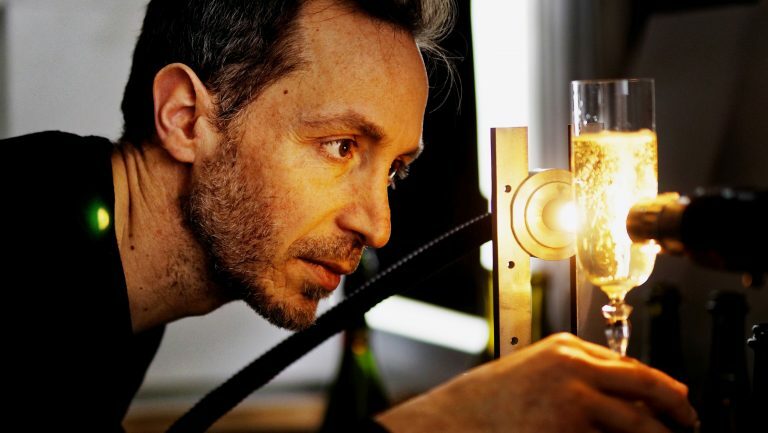 Companies like Montreal-based Lallemand develop and sell specialized breeds of S. cerevisiae, each designed to contribute particular qualities when it’s added to a batch of wine. 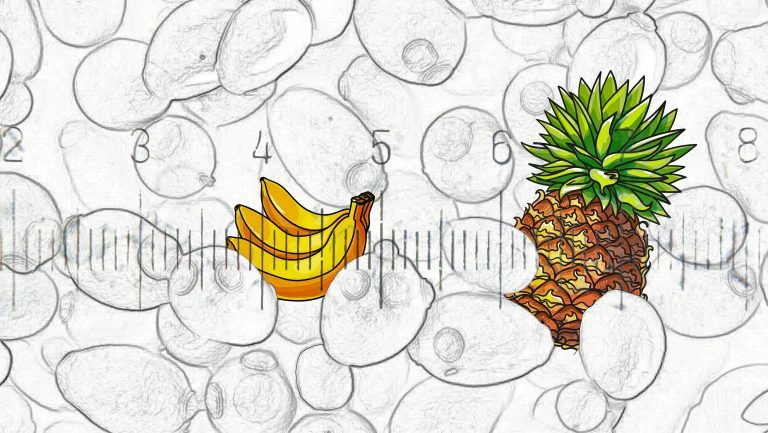 Although the yeasts all do the same essential job of converting sugar into ethanol and carbon dioxide, they do it at different rates, and more importantly to Comfort, “each strain has its own enzymatic patchwork and its own flavors it produces during fermentation.” Inside a grape, he explains, much of the sugar is chemically bound to other molecules that have their own impact on flavor. To digest the sugar, yeast needs to separate it first. 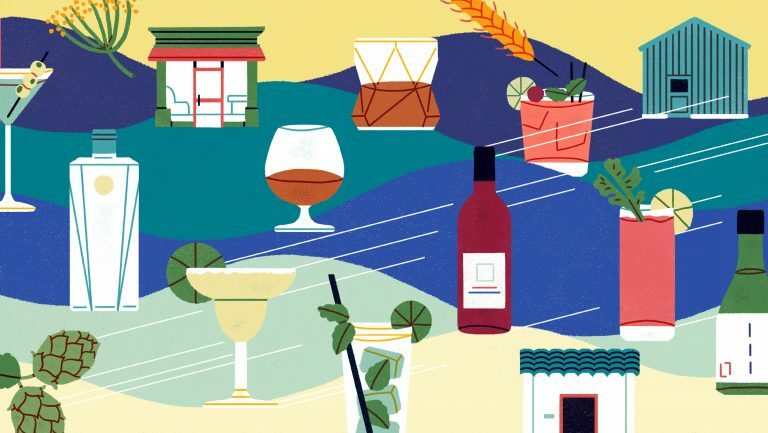 “In fermentation,” Comfort says, “the amount of aroma compounds that are liberated by the yeast is absolutely tremendous.” But crucially, “each strain has its own very distinct machinery: different enzymes in different ratios. 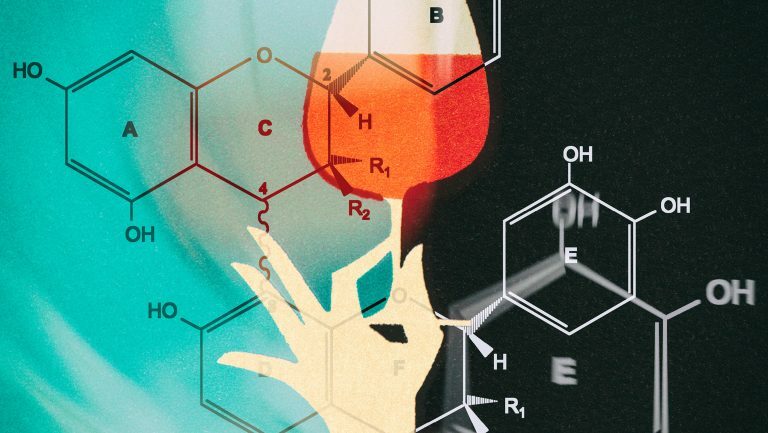 So some strains will be able to pop certain compounds off, and some will not.” Hence the need, when using commercial yeast to make wine, to carefully select among hundreds of available strains of S. cerevisiae. Fortunately, it’s never that simple.